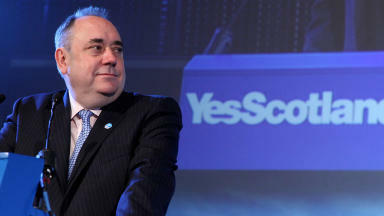 First Minister Alex Salmond was joined by politicians, actors and civic leaders at event. The formal campaign for Scottish independence has been launched at a celebrity-endorsed event. Organisers of the Yes Scotland movement vowed to stage the "biggest community-based campaign in Scotland's history" in the run-up to the independence referendum which could take place in October 2014. First Minister Alex Salmond, one of the key speakers at the launch in Edinburgh, said: "We unite behind a declaration of self-evident truth. The people who live in Scotland are best placed to make the decisions that affect Scotland. We want a Scotland that's greener, that's fairer and more prosperous. 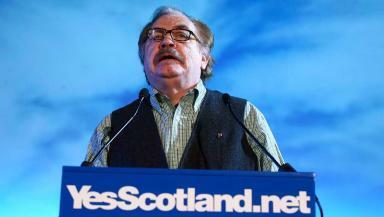 We realise that the power of an independent Scotland is necessary to achieve these great ends." You can watch a full replay of the entire event on this page. Scottish Green Party co-leader Patrick Harvie said: "I am very pleased to be here at the launch of the Yes campaign. The event was held at Cineworld cinema in the Fountainbridge area of the capital.